You might say: “That's a funny name”. Pronounced with a hard 'G', as in gate, Regia Anglorum is vulgate Latin and means “The Kingdoms of the English”, a term used by early mediaeval chroniclers to refer to the English state, just as we might say “Britain” today. It implies no particular boundary, either geographically or spiritually. Founded in 1986, Regia Anglorum is a society based in the UK but with a rapidly growing membership overseas. We are a group of people from all walks of life who share a common interest in the period often called the Dark Ages, or the early mediaeval period – roughly from the time of Alfred the Great to Richard the Lionheart – although much of our work aims to recreate a cross-section of British life around the turn of the first millennium. It was a time when Britain was host to many peoples – Anglo-Saxons, Anglo-Danes, Norse, Picts, Cymru, Viking raiders, and even Normans, Frisians and Carolingians from the continent. Regia portrays all of these and more. The society's work deliberately has a strong educational slant and we consider that authenticity is of the highest importance. We prefer to work from found material where possible and are extremely cautious regarding such things as the interpretation of styles depicted in manuscript sources. A surprising number of our members are archaeologists or historians. In general, the geographical location decides the “ethnic background” of any Local Group. For example, the Bristol group, Wessex, has an Anglo-Saxon identity, whereas a group from Wales, Gwerin Y Gŵyr, decided to recreate the lives of the native Welsh. However, everyone in Regia is encouraged to develop a secondary character of a different background, so you are by no means restricted. In fact, the society positively encourages character development and some members are known by their “authentic” name. Limitless opportunities exist for interaction with people from “other lands” who have a quite different experience of life, especially around the Living History Exhibit. 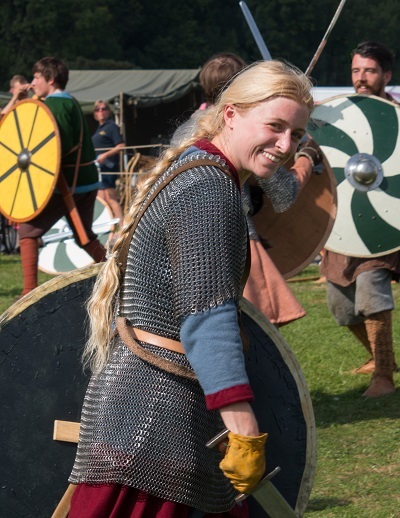 Over the next few pages you will learn about the activities of the society; whether you just want to live the life, fight the fight or pick up period crafts and skills – or take it even further – and sail Viking ships, help reconstruct Saxon buildings or ride with the nobles. We will also show you the other benefits of joining and show you how to go about joining our society.